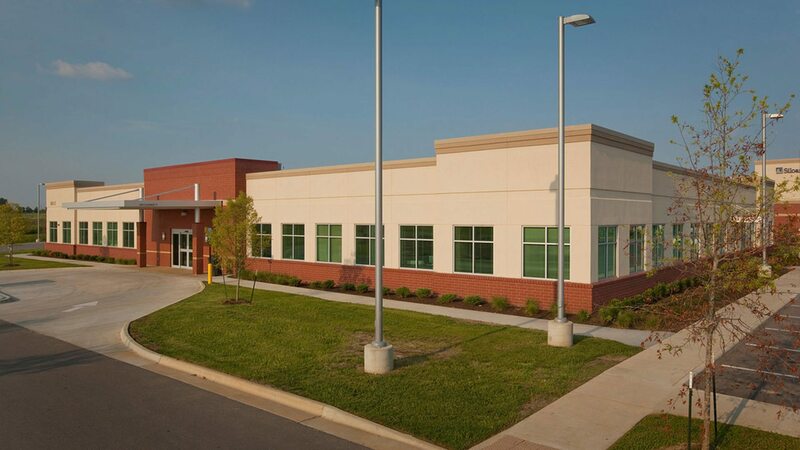 TMP was commissioned by a third party developer to design a Medical Arts Center on the campus of the newly opened Siloam Springs Regional Hospital. The Medical Arts Center is a one-story, multi-tenant Class A medical office building of approximately 19,000 sf. The exterior of the building emulates the language of the adjacent hospital to give the site a cohesive campus feel. Facility’s location on the Siloam Springs Regional Hospital campus, gives the community an additional convenient option for outpatient medical services. The building sits directly in front of the main entry drive to the hospital, serving as a “front door” to the campus. The interior of the building is fully built-out and currently houses five tenant suites: Siloam Springs Women’s Clinic, Ozark Orthopedics, Northwest Arkansas Surgical, and two hospital outpatient services (Physical Therapy and a Cardiac Suite).